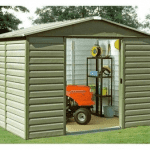 This metal shed measures an impressive 10 x 13 in dimensions and it is very spacious. 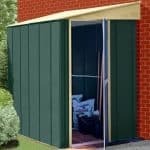 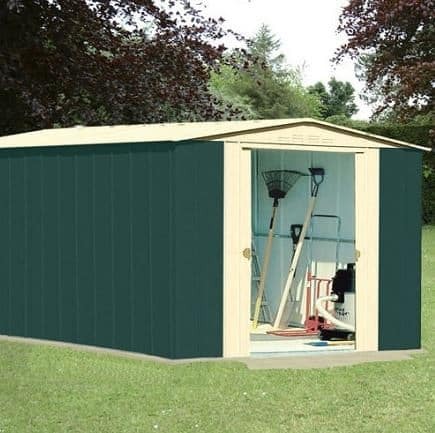 This means that you can use this metal shed for storing all of your garden items quite confidently. 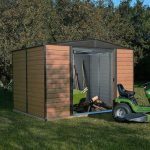 There are ventilators in both the front gables and the rear cables, so you also have a metal shed with the right atmosphere to keep your belongings and equipment safe, secure and clean. 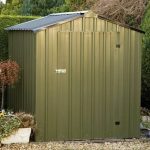 The galvanised steel is made of sheet and is used in the walls, roof and doors. 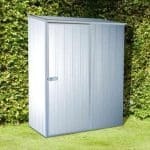 This sheet steel has a thickness of nought 0.25 mm. 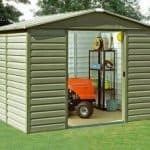 A practical, tough shed.